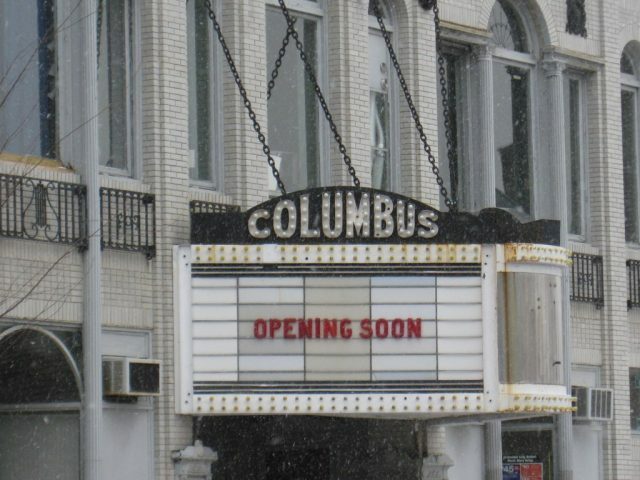 The Columbus Threatre is re-opening on November 17th with an event called Revival! That event proved so popular, they’ve added a second night, Revival Too! The Columbus Cooperative is excited to announce Revival Too!, a second night of celebration for the reopening of the Columbus Theatre, headlined by the Low Anthem. Due to the overwhelming response to Revival!, which sold out more than two weeks in advance, this intimate evening of music at the Columbus Upstairs has been scheduled for Sunday, November 18th. Half of profits from the evening will once again benefit ATRAVES, a Providence-based nonprofit working for education, health, and development in Nicaragua. With food by Julians and drink by Revival Brewing Company, the Rhode Island Brewers Guild, and Elevated Spirits. Revival Too! is generously sponsored by Julians; Revival Brewing Company, the Rhode Island Brewers Guild, and Elevated Spirits; Supply & Demand Music; Mirror Image; Armory Revival Company and Rising Sun Mills; and the Rhode Island Music Hall of Fame. Seating is general admission and EXTREMELY LIMITED.